Cinnamon has been used in a variety of ways for thousands of years. The Romans burned it in funeral ceremonies, believing that the aroma was sacred and pleasing to the gods. Because it was hard to come by, during the Middle Ages, wealthy Europeans made sure to serve cinnamon at feasts so their guests would know that no expense had been spared. Later, it became a focus of the spice trade that eventually led to the discovery of North America by white explorers. Take thou also unto thee principal spices, of pure myrrh five hundred shekels, and of sweet cinnamon half so much, even two hundred and fifty shekels, and of sweet calamus two hundred and fifty shekels, and of cassia five hundred shekels, after the shekel of the sanctuary, and of oil olive, and thou shalt make it an oil of holy ointment, an ointment compound after the art of the apothecary: it shall be an holy anointing oil. The History Channel's Maryel Synan says, "The Arabs transported cinnamon via cumbersome land routes, resulting in a limited, expensive supply that made the use of cinnamon a status symbol in Europe in the Middle Ages. As the middle class began to seek upward mobility, they too wanted to purchase the luxury goods that were once only available to noble classes. Cinnamon was particularly desirable as it could be used as a preservative for meats during the winter. Despite its widespread use, the origins of cinnamon was the Arab merchants’ best-kept secret until the early 16th century. To maintain their monopoly on the cinnamon trade and justify its exorbitant price, Arab traders wove colorful tales for their buyers about where and how they obtained the luxury spice." Cinnamon is a warm, fiery spice associated with the powers of the sun, which makes it a perfect aroma to use at the winter solstice, which, of course, marks the return of the sun. It comes in handy for protection magic, as well as for workings related to passion, prosperity, and power. Author Sarah Anne Lawless says, "In rootwork [cinnamon] is an ingredient in the popular “fiery wall of protection” blend as well as other cleansing and protective incenses, but is most commonly used to bring good fortune and prosperity to a business." If you own a business, tuck a few cinnamon sticks under the cash register or in your money box. Another great option is to sprinkle bits of ground cinnamon into your wallet or purse - in addition to being awesome for prosperity magic, it will smell fantastic all day long! Finally, try using a paintbrush and a bit of water to add a light dusting of cinnamon to your paper money - this is believed to help multiply your fortune. With its warm, comforting tones, cinnamon has become, for many people, a scent associated with the Yule season. 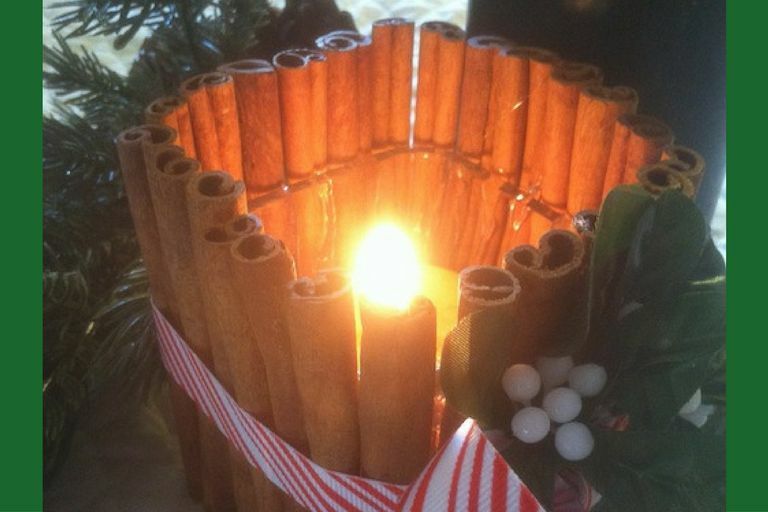 You can buy whole cinnamon sticks and use them for a number of Yule-themed craft projects. Why not use them to decorate a votive holder for your Yule candles? Use the hot glue gun to attach the cinnamon sticks to the outside of the glass jar. It’s best to use a jar or candleholder that has straight sides - curved sides are tricky to glue the straight sticks onto. Once you’ve gone all the way around the candle holder, decorate with a ribbon and some trimmings. Make these as gifts for friends, or to use on your altar at a Yule sabbat celebration. Cinnamon is a symbol not only of wealth and prosperity, but also of passion and lust. Use it in recipes or crafts to bring either of these things your way.